Australia’s largest defence exporter has exceeded initial expectations and is back in the black after a strong 2017 financial year, setting itself up for 2018 as it pursues work on Australia’s naval shipbuilding projects. Henderson-based Austal reported revenue of $1.31 billion, largely due to its US operations, and a net cash position of $19.3 million. Austal chief executive David Singleton said the return to profitability is a result of its successful military programs in the US. "Our ability to efficiently deliver two separate military programs to the world’s largest and most sophisticated Navy demonstrates the expertise that this Australian shipbuilder has as a global prime contractor," said Singleton. 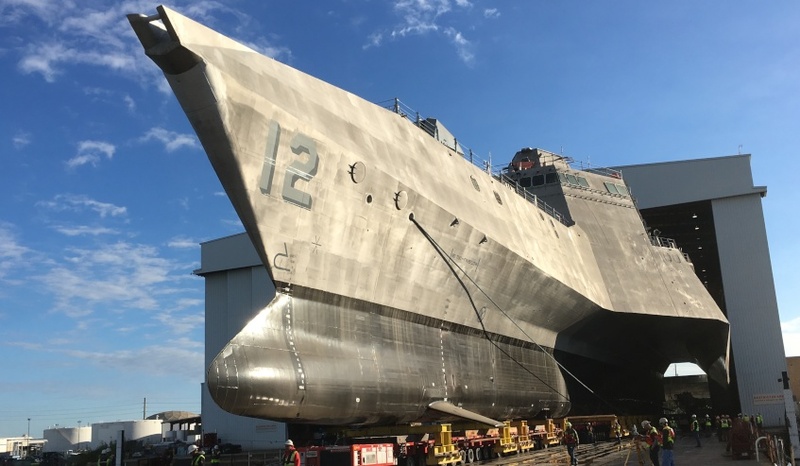 "Our advanced modular manufacturing facility in the US has allowed us to deliver significant efficiency gains on the multi-billion dollar Littoral Combat Ship program. "Our confidence in the costs to complete of the LCS program continues to increase. The recent award of LCS 28 will drive additional profit growth because it was bid and won using a revised construction cost base, which can assure a normal level of profit for a program of this type." Earnings from the company's Australian and Philippines shipyards were "subdued as anticipated" according to Singleton, with construction periods at both locations limited, but Austal is confident both locations will see an improvement in the next financial year. "Whilst the vessels built have all been profitable, volumes have historically been at a level below which we can adequately recover all of the overheads of the operations," said Singleton. "However, we are now confident that vessel orders recently won and the strong pipeline for new commercial vessels can deliver a progressive change in throughput and profitability from the shipyard over the next two years." Austal has teamed with German ship designer Fassmer for the $3 billion Offshore Patrol Vessel bid, which would see Austal provide the high level design, carry out detailed design, most procurement and all shipbuilding and testing. Austal has also teamed with ASC Shipbuilding for the $35 billion Future Frigates contract.